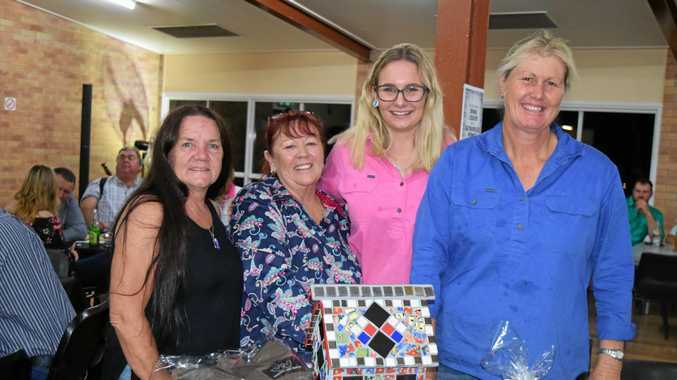 CROWDS came dressed in their farmers' workwear in support of their fellow farmers as the Biggenden Droughtbusters held its major fundrasier of a dinner and multi-draw raffle on Saturday night. The committee of Julie Just, Roz Buczma and Lee Treloar were overwhelmed at the response. Ms Buczma said it was a great night. "We've received lots of positive feedback,” she said. Woodgate Club manager Cheyenne Slaats presented a cheque for $770 from her personal fundraising for the group. 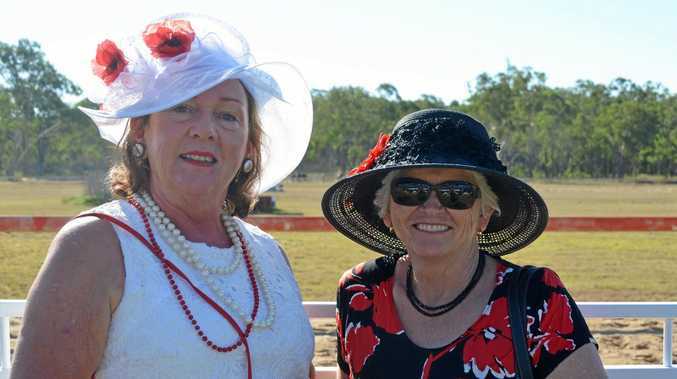 The trio took on the plight of their fellow farmers of the North and South Burnett some months again and the whole town has pitched in. Next fundraiser will be a raffle drawn on December 19 with prizes of a framed photograph of the Biggenden Bluff by Rob Myles as well as an outdoor gas heater and large electric frypan. In the meantime, meat tray raffles will continue of a Friday night at the Commercial Hotel until Christmas.